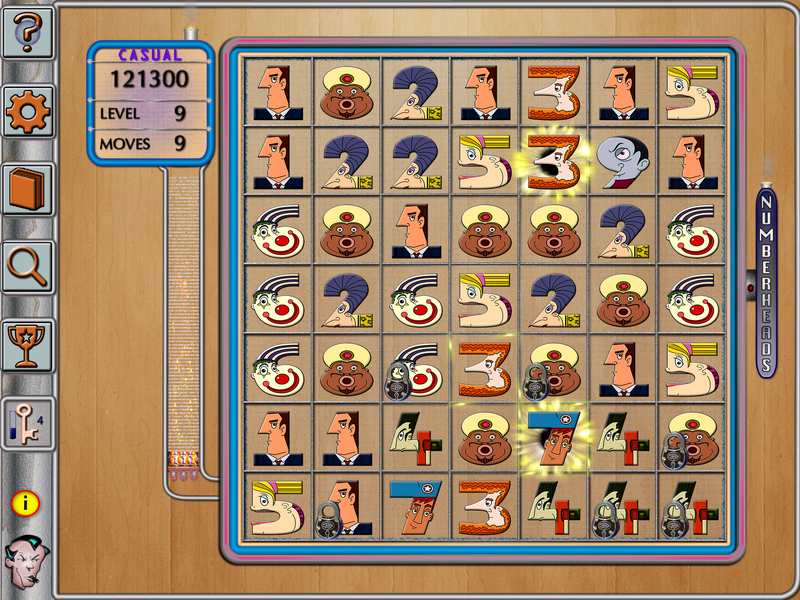 Are you a fan of Match-3 and Jewel games but looking for something a bit more challenging? Or are you somewhat colorblind and finding it hard to tell the pieces apart? Numberheads is a different sort of matching game: you match Numbers, NOT shapes or colors.Instead of moving colored pieces around, you move numbered pieces to chain runs of numbers together: like 2-3-4, 7-6-5, 1-9-8-7, 7-8-9-1-2, and more! It’s completely different and more challenging. And it just might help your number-juggling abilities, too.Created in full HD for the newest retina-display iPads, but also looks beautiful and works just fine on all iPads including the original iPad. Play CLASSIC style, with bombs, locked pieces, and more. Play till you run out of moves. Play a SPEED game and try to get the highest score that you can before you run out time and moves. Play a ZENOIC game – nothing else like it: any piece can move anywhere on the board. Your mission: remove as many pieces as you can in one move. HINTS ARE FREE – no point deduction for hints. Game Center support with 10 achievements and 6 leaderboards. Casual and Expert difficulty choices to keep the challenge fresh. Optional HYPERSPEED lets gameplay run at warp speed – superfast even on an iPad1. Optional PAUSE lets you check out the move before it vanishes from the board. Tap the REVIEW button to see your last move even if PAUSE is off. And great music to keep you company while you play, including some tracker music for fans of the demo scene.